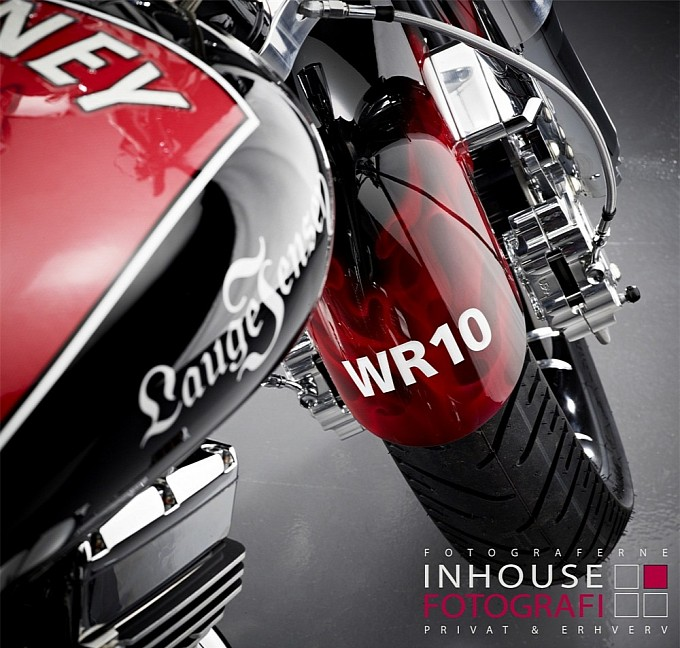 You may think that letting Wayne Rooney customise a top-drawer motorbike is akin to allowing a drunk chimpanzee to perform keyhole brain surgery, but Danish bike builders Lauge Jensen have let Rooney loose on one of their cruisers to create a personalised hog in order to auction off for charity. 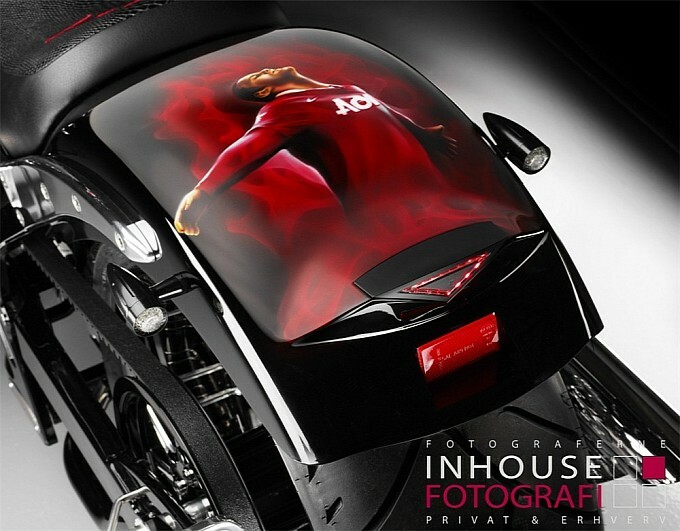 Rooney’s design features – among other things – one of his signed ‘No. 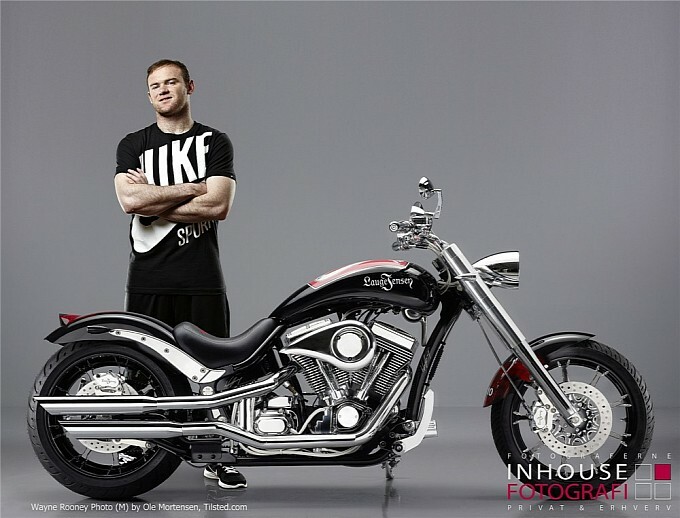 10’ United shirts sealed and lacquered onto petrol tank, a liberal smattering of 21 black and white diamonds all over the bike and an airbrushed image of Rooney celebrating his famous overhead shinner from the 2011 Manchester derby. 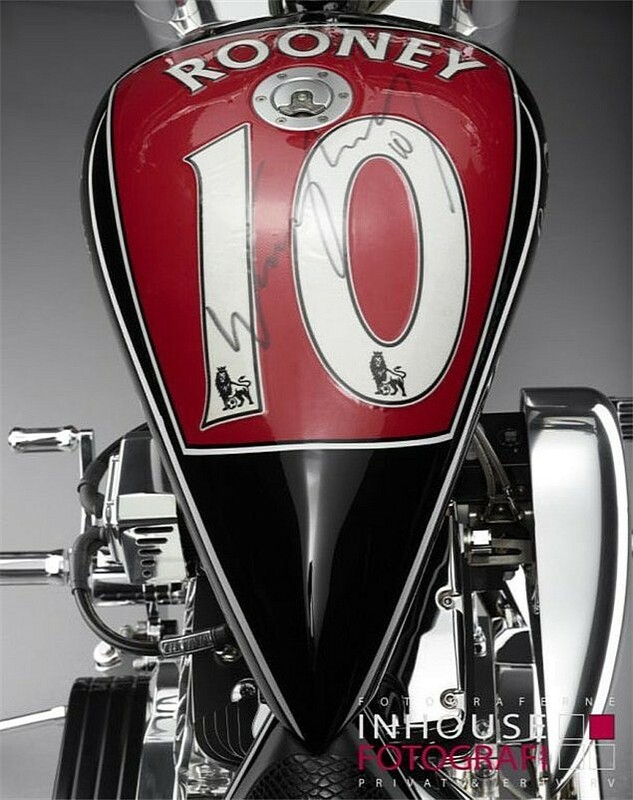 The bike is due to go under the hammer at Bonhams sports memorabilia auction in Chester today with a guide price of between £40-60,000, which will all be going to KidsAid – a Danish charitable foundation that provide support for children who suffer with various illnesses. Considering the normal level (or lack thereof) of taste and class shown by modern footballers, that is actually rather elegant and subdued.